2009 Arizona Cardinals preview from MadduxSports.com. The NFC West could be one of the best divisions or one of the very worst's. There are a lot of unanswered questions for all 4 teams so having an expert like Maddux that can forecast winners with their NFL spread picks can mean a very profitable football season for the client. So what are you waiting for? There’s no shortage of storylines in Arizona, as the Super Bowl runners-up will try to avoid the misfortune that typically comes with that label while adjusting to numerous changes. The Cardinals lost four of their last six games before charging through the playoffs. What does that say about this team? Are they the 7-3 team that started the season, or the 2-4 team that finished it? Did they just get lucky in the playoffs? 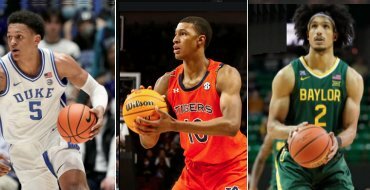 Were their nine wins and subsequent home-field advantage a result of playing in a division of teams that would have struggled in Conference USA? Signs point toward the Cardinals being for real, but they have their fair share of obstacles to overcome. The entire cast of the Cardinals’ potent air attack is back after racking up over 4500 yards, and the running backs are young and exciting. The defense will switch to a 3-4 in an effort to embarrass itself less. Edgerrin James turned 30 last season, collected just 514 yards and was then shown the door. He’ll be replaced by the extremely talented, though much less motivated former Ohio State Buckeye Chris “Beanie” Wells. Wells and Tim Hightower will make an interesting combination. Hightower would try to run through a dump truck if it were playing linebacker, while Wells gets his nails done before every game and prefers to run out of bounds. The running game as a whole has ranked 29th and 32nd in the two seasons that Whisenhunt has been the head coach. Some of that is because it’s difficult to accumulate rushing yardage when Kurt Warner is throwing every play. The rest is because it’s also difficult to do when your running backs are bad. Defensively, the Cardinals have issues. New coordinator Bill Davis replaces the fired Clancy Pendergast and will try to improve the NFL’s 19th best defense. There are some quality playmakers in the group, including safety Adrian Wilson, cornerback Dominique Rodgers-Cromartie, linebacker Carlos Dansby, and lineman Darnell Dockett. Davis’ biggest challenge will be figuring out a way to get to opposing quarterbacks. Dockett is frequently double-teamed, and Bertrand Berry, the team’s best pass rusher, is 34. The secondary is the team’s strength, but a lack of pass rush could make that irrelevant. Neil Rackers has done nothing to lose his kicking job, but kickoff returner J.J. Arrington left as a free agent. Rookie back LaRod Stephens-Howling will probably replace him. Steve Breaston is still returning punts, but may be replaced so he can focus more on being a receiver. Overall the team is heading in the right direction. The division is still bad, and Kurt Warner isn’t showing his age yet. Whisenhunt was brought in as an offensive guru to begin with, and all of the coordinators have been promoted from within. There are few reasons to believe that the Cardinals can’t build on last season. Now that you know about the 2009 Arizona Cardinals football team see how they stack up against the rest of the NFC West division rivals Seahawks, Rams, and 49ers. The 2009 season is here, once again Maddux Sports will break down all 8 divisions and all 32 football teams. This year we also added a draft report to the preview so you can be aware of which college players each club picked up via the draft. Click here to return to the main NFL season preview page at anytime. To get started just click on any of the divisions on the right hand side of the page. 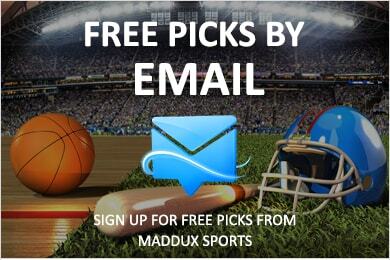 Free Football Picks at Maddux Sports!